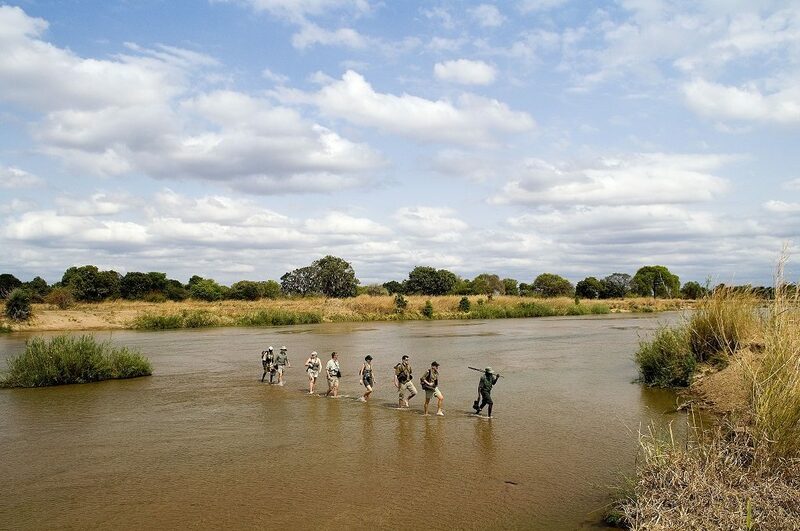 Ditch the confines of a four-wheel drive for the freedom of traversing the wild South Luangwa on foot. Zambia’s raw natural beauty and remote wilderness is exemplified in the South Luangwa National Park and the meandering Luangwa River running through it. 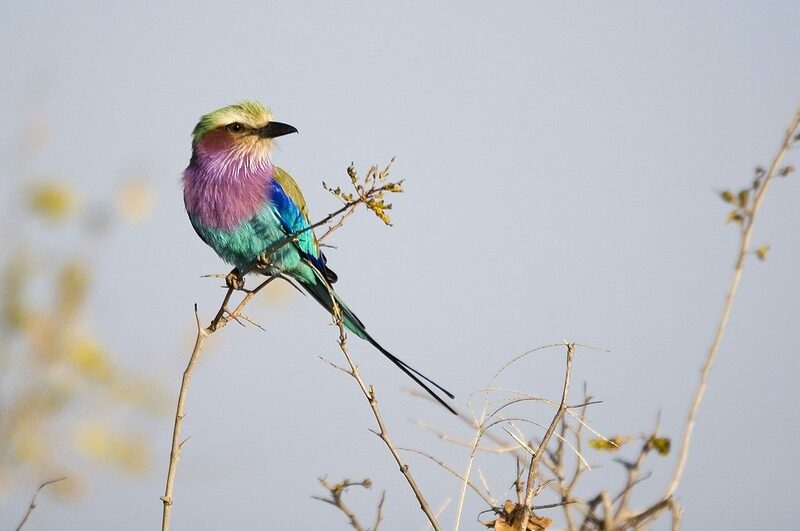 Home to richly diverse animal-, bird- and plant-life along with captivating landscapes, this safari destination is well-known for hosting excellent mobile walking safaris during the dry season. While many lodges and camps do offer short, guided bush-walks as an activity, only specific tour operators run multi-day guided walking safaris. South Luangwa’s expansive wilderness means that wildlife sightings are generally uncrowded by other travellers. This means that exploring this classic wilderness area off the wheel-beaten track means even fewer human disturbances. It’s a unique opportunity to become fully immersed in nature and revive the soul through this deep connection. As your armed guide leads you on a tracking expedition to find a herd of elephants or to listen carefully to the strange noise of an insect, your senses become tuned into nature, and you notice things otherwise missed while trundling along inside a game vehicle. A multi-day walking safari requires a good level of fitness, the right equipment and a willingness to engage with the bush in a more hands-on way. Pushing through dense shrubbery, crossing rivers and dealing with different weather scenarios all take physical stamina. The elements of nature are unpredictable and unshakeable, so a healthy body needs to be complemented by a resilient mind. Walking through big game country is an exhilarating experience and not for the faint-hearted. It is for these reasons that children under the age of 12 are not permitted on walking safaris. Leaving behind the safari vehicle means encountering the small details of the bush, which might otherwise pass you by when elevated on a game drive. Walking safaris are not for travellers driven by ticking off a wildlife bucket-list; game-viewing is never guaranteed during an authentic wilderness experience and this is even more so on a walking safari. The intricacy and interconnectivity of the local ecosystem in the South Luangwa will make itself visible in, for instance, the structure of a particular bird’s nest or the relationships that occur between animal, bird and plant species. One of the best aspects of a walking safari is becoming fluent in the language of the bush. 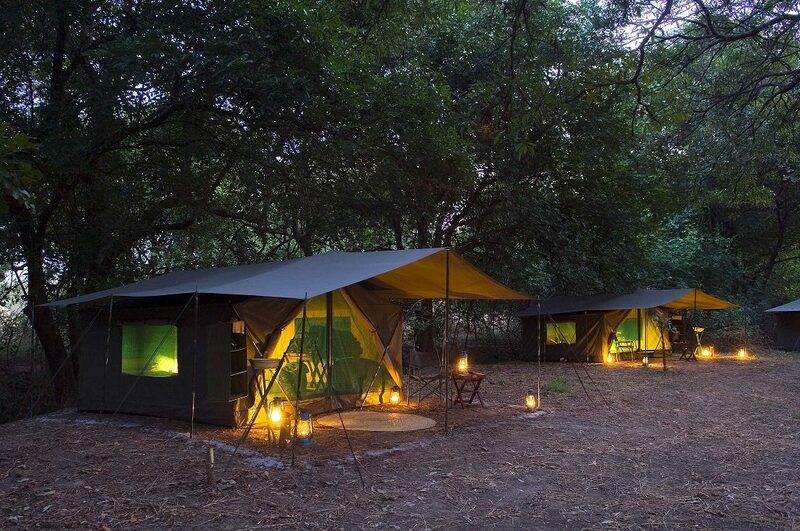 Since you are on foot for most of the day during a walking safari, coming back to a fully equipped canvas tent already pitched is a welcome sight. This experience is more glamping than rustic camping, as you enjoy hearty meals cooked on the fire by a chef, warm showers and cold drinks before retiring to your comfortable walk-in tent with a sturdy bed. 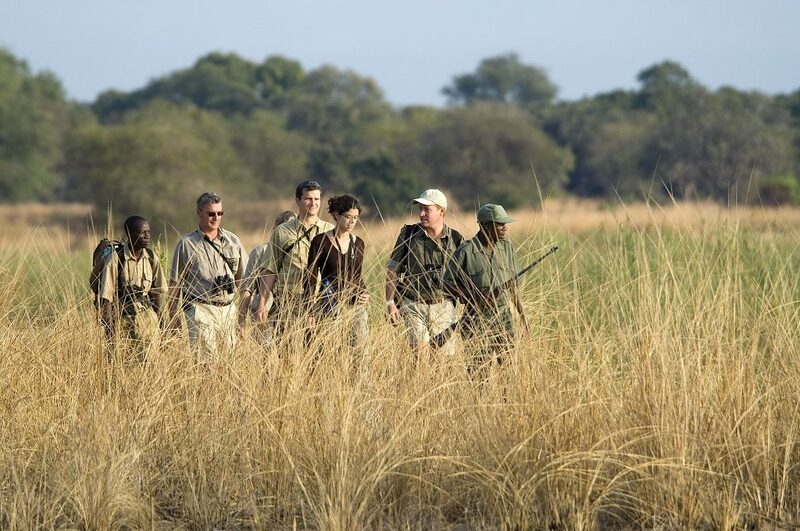 Robin Pope Safaris is well-known for leading exceptional mobile walking safaris in the South Luangwa National Park. Operating from June to October every year – there are still some spaces waiting to be filled for this year’s walking safaris – so don’t miss out! Photography courtesy of Robin Pope Safaris.